Is Lead Poisoning Common in the US? These are all very important questions that everyone should be asking themselves and their government officials. Many parents and others are concerned about lead poisoning levels here in the US. Even though instances of lead poisoning have decreased in recent years, vigilance is still essential to make sure children are protected from this harmful metal. How common is lead poisoning? The CDC (Center for Disease Control) doesn’t generalize data at the national, state, or even county level, so it’s not clear how much lead poisoning cases there are. However, since we know about the catastrophe in Flint, it’s safe to say that lead poisoning is still a major issue in the US that everyone should pay attention to and prevent. Are you concerned about lead in your home? If you have any doubt about whether your home contains lead, we invite you to schedule a complete environmental evaluation of your home by the experts at H2 Environmental Consulting Services. Using the most advanced tools and techniques, we’ll check every molecule of your property for lead, asbestos, fungus, mold, and other contaminants. It’s essential that you call H2 Environmental Consulting Services at (800) 524-3578 to schedule a full environmental evaluation of your home. As the saying goes, it’s better be safe than sorry. That’s never more true than when you have young children at home. Protect their healthy development with full environmental testing and remediation services from H2 Environmental Consulting Services. If we discover lead or any other contaminant on your property, we’ll develop a plan to eradicate it. We follow all federal and state regulations to the letter, and we provide complete hazardous material disposal services, too. Count on H2 Environmental Consulting Services for all your environmental management needs anywhere in Southern California. 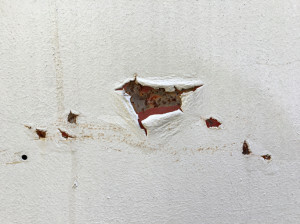 Lead poisoning a very serious conditions, the effects of which are irreversible, so it’s essential that if you’re not sure whether your property contains lead, call Southern California’s experts at (800) 524-3578 today. We’ll gladly schedule your property’s evaluation ASAP for your complete peace of mind. You’ll be able to let your kids run and play without a single niggling worry when you enlist the expertise of H2 Environmental Consulting Services. At H2 Environmental Consulting Services, the health and safety of all Southern Californians is our #1 priority. We’ve been making Southern California a better place to live for over 24 years, one property at a time. Let us make sure your home is 100% safe today.